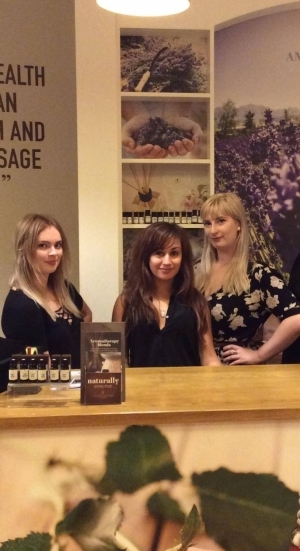 About Us – The Customer Service and Sales Team - Amphora Aromatics Ltd – Supplier of pure essential oils and aromatherapy Products. We thought you would like to know a bit more about our head office sales and customer service team. We aim to supply our customers with the best possible products,we love trying them out and discussing our favourites. I have been working for Amphora for two years now. Being a Media Communications Graduate I love getting social and engaging our customers and bloggers through our social media channels. I have always enjoyed going to spas and making time to pamper myself and since I have been working for Amphora I indulge in this even more! Some of my favourite products include; AA Skincare’s Frankincense & Rose Cleansing Gel, Frankincense & Rose Face Toner and Mint & Dead Sea Salt Face Mask, I use these weekly and my skin feels incredible. Currently the products I am trying is the Ylang, Ylang, Argan & Rosemary Shampoo and Conditioner. I can honestly say my hair feels so much softer and fuller! I started at Amphora about 18 months ago, after qualifying as a holistic massage practitioner from Bristol College of Massage & Bodywork. I have always had a passion for wellbeing products and was excited about the opportunity to delve a little deeper. Amphora offers a wonderful range of products for therapists as well as daily use. I quickly realised the benefits of including natural ingredients in my skincare routine. Having suffered with breakouts and spot scars since adolescence, I now wear minimal make up and concentrate on looking after my skin – getting rid of products that contain harsh chemicals or artificial fragrances. Some of my favourite products include; ‘Ready to Use’ Pure Pleasure Massage Oil, Organic Rose Floral Water, AA Skincare’s Lavender & Tea Tree Face Lotion and the Peony, Bay and Brahmi scented body/haircare. I enjoy experimenting with essential oil blends and finding new ways in which to integrate essential oils into everyday life. I've been involved with Amphora since May 2014, working as part of the sales and marketing team. 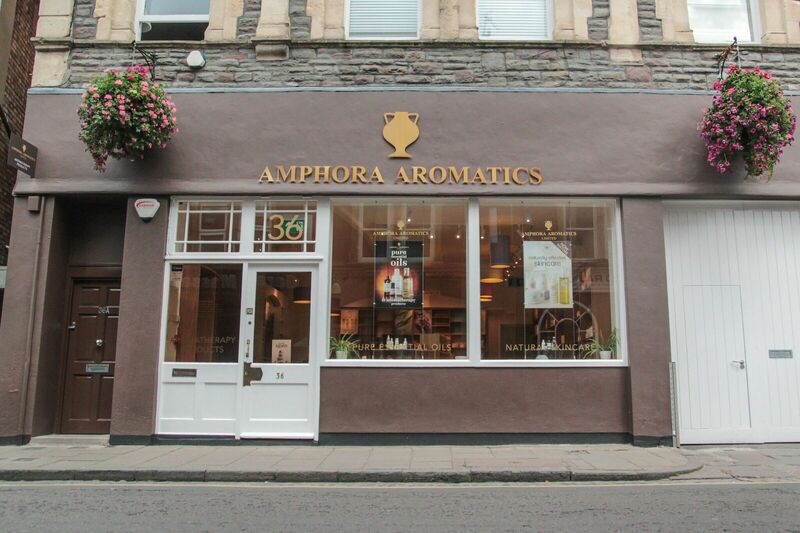 Having previously worked for one of our customers, I was already well aware of the Amphora brand when coming to the company which helped me to quickly further my knowledge about the wonderful products and world of aromatherapy. Over my time here I've really enjoyed experimenting with essential oils in the home; creating my own blends, household cleaning preparations and homemade soaps, skincare preparations and perfumes. In early 2017 I spent some time in India where i studied Ayurvedic massage and also gained a keen interest in the various Ayurvedic oils and herbs. Since working at Amphora, I've really enjoyed getting together a skincare routine, using naturally inspired products and ingredients. Some of my favourite products are AA Skincare's Frankincense & Rose Toner, Bergamot & Chamomile Cleansing Face gel and our Amphora pre blended massage oils including the Athletic and Pure Pleasure blends. My greatest discovery so far has been shaving my legs with the Rosemary & Olive Cleansing Oil. The Peony Bay & Brahmi Shower/Bath Gel is also a favourite it just smells incredible! We are more than happy to help anyone who needs advice on any of our products, so please don’t hesitate to contact us on: 0117 9087770 or through any of our social media profiles. Don’t forget to also visit our shop on Cotham Hill, Bristol, where the lovely and very knowledgeable Zoe will be there to help you.